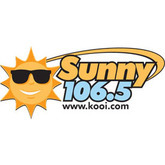 KOOI 106.5 FM is a leading radio station that broadcasts an Adult Contemporary format. KOOI 106.5 FM is licensed is based in Longview, Texas and it serves the residents of Tyler- Longview area. KOOI 106.5 FM is owned by Access. 1 Texas License Company and it is affiliated with Fox News Radio where it features some of its programs. The company was licensed in 1968 by Dudley Walker and by then it was known as KEBE- FM and it was a simulcast of AM 1400. The station changed name to KOOI in the 1970s when the station went into the East Texas. There are currently 0 consumer reviews about KOOI 106.5 FM available. Share your review. Please take a note that you are about to post a public review about KOOI 106.5 FM corporate office on CorporateOffice.com. This review will be public, so please do not post any of your personal information on this website. If you would like to contact the corporate offices of KOOI 106.5 FM, please use their contact information such as their phone number, website, and address listed above to contact them. However, sometimes staff from KOOI 106.5 FM headquarters do read the reviews on this website.